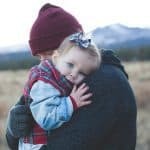 Did you know that a father’s parental rights can be terminated without him ever knowing (or for that matter without him even knowing that he’s a father)? Using a process called ‘notice by publication’ or ‘service by publication’ a mother, or a government agency, can publish a notice of intent to terminate parental rights – or to take an action which will have the effect of or lead up to terminating a father’s parental rights – in a local newspaper. After several weeks of running that notice, if the father fails to respond, he’s history. This most often happens in the case where a father is unaware that he has a child, but is by no means exclusive to that situation. Mary and George were together for several months. After they broke up, Mary discovered she was pregnant. Wanting nothing to do with George following the breakup, Mary kept the news of her pregnancy from George. Mary decides to put the baby up for adoption. In order to be able to have the baby adopted, in many states she must demonstrate that she either has the father’s consent to put the baby up for adoption, or that she has tried to contact the father but has been unable to find him. This latter scenario is where a notice or service by publication comes in. Because Mary has “been unable to find” George, in order to ‘try to get his consent’, she can publish a notice in the local paper (local to where she ‘believes’ George to last have been living). Once that notice has run for several weeks (how many depends on the location), if George has not responded (how could he? ), the adoption may proceed, with George having been judged to “not have responded”). Another way this can come up is if a state, county, or even a city agency has stepped in and removed a child from the mother, where the father is either genuinely unknown, or the mother claims not to know who the father is. This most frequently happens in abuse and/or neglect cases. In this case, the agency will publish such a notice. Baltimore City Notice of Filing a Petition For Termination of Parental Rights To: Gregory Nelson You are hereby notified that a guardianship case has been filed in the Circuit Court for Baltimore City, Case No. T17279005 All persons who believe themselves to be parents of a male child born on 4/30/16 Baltimore, MD. to PhyLicia Charnese Phillips DOB:1/24/89 and Gregory Nelson (DOB:Unknown). shall file a written response. A copy of the show cause order may be obtained from the Juvenile Clerk’s office at the Baltimore City Juvenile Justice Center, 300 N. Gay Street, Room A3320, Baltimore, MD 21202 and 443-263-6300. If you do not file a written Objection by February 5, 2018, you will have agreed to the permanent loss of your parental rights to this child. What can you do to protect yourself against such actions? Well, first, if you are a man and you break up with someone, try to see them (or have someone see them for you) around four to six months after the breakup, to see if they are pregnant. If so, and if (and only if) attempting to communicate with them about the baby fails, you will want to engage an attorney to file a paternity action as soon as the baby is born, and assuming the baby is yours, get yourself listed on the birth certificate. We say “only if” because it’s of course much better if you can develop a cooperative relationship with the mother, and be listed as the baby’s father. Under no circumstances walk away from the situation, both because the baby needs its father in his or her life, and because at some point a government agency or private lawyer will come after you for back child support. If you already have a child that you know or suspect is yours, the same advice applies. 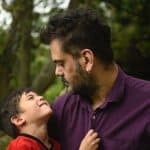 It is extremely important to know that in most states you only have a very small window of time during which to establish paternity (if you’re the father – if you are the mother or the state, well they can come after you any time, which is how so many fathers suddenly find themselves learning of a child along with years of back child support that they now owe to the state). 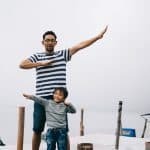 The standard for a father to establish paternity is typically “when you knew or should have known that you might be the father of the child”.